Events of the last week confirm it: Cloud ERP is a serious space. If you’re still expecting on-premise ERP to rule the day, it won’t. On-premise ERP will have to share the limelight with its newer cousins. The cloud and ERP, especially manufacturing software applications, are definitely in vogue. Vendors, investors and customers are piling into a space that’s been a big on-premise enclave. The numbers of vendors here is growing and the functionality is getting deeper. DreamForce 2011, the annual confab put on by Salesforce.com (www.salesforce.com) had all of the hype, showmanship and networking one expects here. But one of the interesting aspects there were the numbers of announcements regarding cloud ERP solutions. Moreover, the analyst community was discussing a number of other cloud ERP solution providers that weren’t there but are innovating, too. Kenandy – Kenandy is a new manufacturing solution being developed and sold by Sandy Kurtzig. Sandy is the pioneer of ASK Software, an early mini-computer software provider. I remember her ASK product running on the Fortran language and it was a big hit in its time. Sandy has come out of retirement and gotten investment monies from Salesforce.com and Kleiner Perkins Caufield & Byers, one of Silicon Valley’s biggest and best known venture capital firms. They’ve already got one customer live after just a two week implementation. What’s different about their approach is that they’re creating an ERP solution with an outside/in view of a manufacturing business (instead of the usual view inside the four walls of the factory). Their application suite currently has a number of distribution and manufacturing apps. Integration with third party financial software will be accommodated with cloud products like FinancialForce.com. (FinancialForce.com is a Salesforce.com and Unit4Agresso joint venture firm.) See also this Wall Street Journal piece on Kenandy. RootStock – I’ve tracked Rootstock since I first met them at a NetSuite partner event two years ago. They have a pretty solid discrete manufacturing solution that integrates with the NetSuite financial products. It works with the NetSuite PaaS (platform as a service), NS-BOS. This week, they announced a new version of the product that is integrated with the Force.com PaaS of Salesforce.com. This puts RootStock in two of the biggest PaaS platforms for commercial software. In the Force.com ecosystem, RootStock will integrate with other cloud financial software but can directly and tightly integrate with FinancialForce.com and the Salesforce.com CRM applications. Rootstock also got investment monies from Salesforce.com. Infor – Infor CEO Chuck Phillips indicated that they are making Infor MRP/ERP data extensible to/from Salesforce.com CRM applications. They’ll be exposing this data to the Force.com architecture. This may be more of a labor saving and convenience item for now but could presage other Force.com developments between Infor and Salesforce.com. Workday – Workday co-CEO Aneel Bhusri and his management team held a technology confab for analysts last Monday. They covered a number of topics showing how Workday is dealing with massive data volumes, large dataset processing, etc. These are the issues that cloud ERP vendors must address if cloud apps are to serve the largest enterprises well. Other SaaS ERP vendors are on the move, too. NetSuite is continuing to bolster functionality in their product line and Plex Systems (a full front-to-back full cloud ERP) solution is rumored to be adding lots of additional vertical and other functionality to their products. SAP – SAP has BusinessByDesign and seems to be promoting this heavily as a subsidiary solution to its Enterprise solutions. But, in a conference call I did with SAP execs a few weeks ago, it was clear that they were adding a lot of functionality to solve business issues that subsidiaries have as well as different problems that stand-alone SMBs face. I was encouraged to hear them volunteer examples of both kinds of functional enhancements. Acumatica will be making a couple of big announcements next week that should auger better growth for their firm. VAI (Vormittag Associates, Inc.) has recently added new sales force automation and social computing capabilities. VAI, interestingly, uses a lot of IBM cloud technology. I’ve also looked at other cloud ERP solutions for the SMB space from vendors like SYSPRO and more. Almost every vendor, to the one, has cloud solutions with some having multiple cloud/on-premise/hybrid options. 1) Salesforce.com is, by nature of its investments, a disruptive force in the ERP space. While its main application software product is a CRM suite, its investments in Kenandy and Rootstock would suggest it is indirectly preparing to take Cloud ERP to the majors via its proxies. 2) New guard players may likely disrupt the leader board for ERP software. If your firm is doing a software selection and it has the same firms on its short list from ten years ago, you might be making a mistake. 3) Cloud ERP products don’t take anywhere near the time or cost to implement as on-premise apps. Integrators hate this reality but customers don’t. Yes, you’ll still need some help but multi-year death marches will hopefully become IT rarities. 4) Not all cloud ERP products are the same. Some are multi-tenant, many are not. Some are actually old, in cloud terms, with some code dating to the late 1990s, for example. 5) Check out the vendor’s PaaS. Some solutions use a PaaS with a deep, rich ecosystem of other products that serve up data, programmer communities, databases and apps to round out any functional holes in the solution. Some don’t. Your ERP choice is not just about the app/vendor but also all of the other technology opportunities you might need/want in their ecosystem. 6) Not all new products are complete or robust. It still takes time to build dozens of applications, even those built with some of the newest (and amazing) tools out there. Buy the reality not the hype. 7) Lots of competition fuels innovation and choice for the buyer. This also gives you, the tech buyer, negotiating leverage with your current and future ERP provider. 8) Avoid new solutions that merely ape the functionality of older generation products. Old ERP was designed when everything was constrained: bandwidth, disk storage, processing speed, CPU availability, disk storage, etc. As a result, ERP software automated the most labor and computationally intensive tasks. 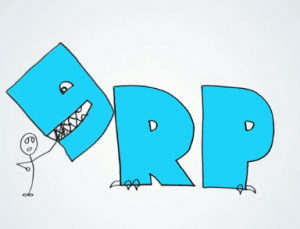 Don’t buy ERP that was designed before there was an Internet. New solutions should be focused on more than the four-walls of your firm. In fact, for today, new solutions should look at more kinds of business events than just accounting transactions. They should look at the actions, inventory, etc. of external entities like suppliers, governments, customers, etc. The new solutions should have been designed from the onset to be externally aware and strategically (not just operationally) excellent. Get the best business thinking built-into a new solution (not old thinking in new code). As they say, the more the merrier. The different cloud vendors may also inspire a lot of businesses, especially small-time ones and start-ups, to invest in the technology. I truly believe that cloud computing is the next very huge wave within a year or two.